What is a branding? Hint: it isn’t just a logo. First and foremost let’s define the word branding. You’ll notice I’m not saying the word logo. Often times, people think the word branding and logo are synonymous when in fact a logo is actually only a piece of your branding. Branding is your logo, color palette, tone and messaging, photography, typography and any other elements that help convey your message, reach your target audience, & tell the story of your business. Before I move on let’s first establish why your brand is the MOST important part of your business. Your brand speaks for you when you’re not around to speak for yourself. You don’t want your brand running around your city telling people things that aren’t true about you. Let’s use my business for example. Before I redesigned my brand it was running around Nashville shouting, “Hey you there, corporate business, are you looking for a designer who likes modern/minimal design with neutral color palettes? 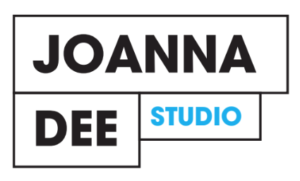 If so, Joanna Dee is your gal.” Ummm…that’s not even close to who I am, nor the client I was trying to attract. But more on that in a minute. Often times, your brand is your very first impression. We live in a very visual world where people are swiping left and swiping right making immediate decisions based on what they see. And in that, sometimes less than a second, your brand should visually convey your company’s message and the type of client/customer you are trying to attract. Mistake #1—My logo said NOTHING about me as a designer. Now my logo absolutely attracts my target demographic. It feels personal, made by hand and eludes to my maker roots. It says that in this digital age I value hand–drawn elements. It feels fun, approachable and a little quirky. Mistake #2— I was too focused on designing a brand that everyone would love. My branding was stark white, with nearly no color. Actually, at one point the only color that existed in my brand was yellow, bright yellow…and I don’t even like yellow. (insert face palm emoji) At the time, there was a wave of designers out there who very successfully had stark white, very minimal design aesthetic and for some reason that was who I thought I was supposed to be too. I took a step back and started asking myself a couple of questions to help clarify my goals. What do I value as a designer? What kind of work do I want to be doing? My aesthetic is deeply inspired by mid–century color palettes. I love design that has elements of the artist’s personal touch through illustration and hand–lettering. I’m passionate about what I do, and I want to work with clients in the creative community who are equally as passionate about what they do. So I set out to give my branding a facelift to reflect these things. I began to think about all the times a client mentioned how much they loved my use of color—how the color stories in my work were the reason they hired me. In that moment I had a thought, which should have been obvious from the beginning, to incorporate those mid–century inspired hues into my branding and to sprinkle illustrated elements throughout the design. No more all white branding for this girl. 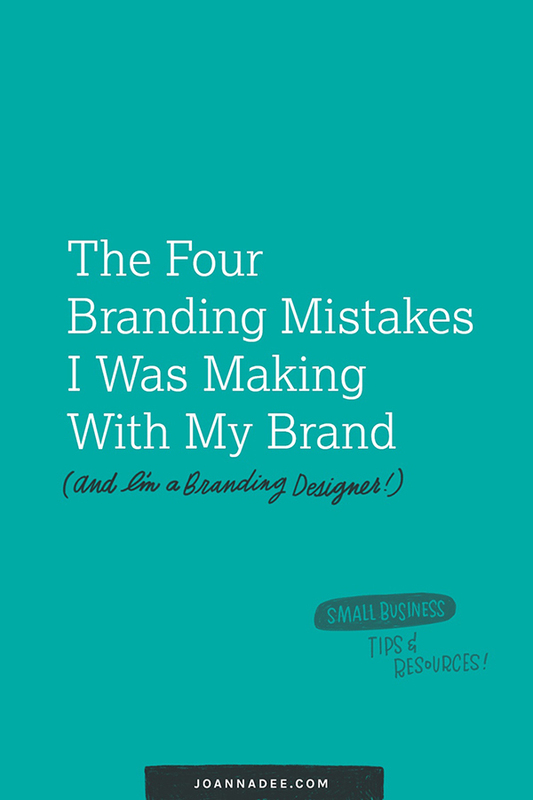 Mistake #3— My brand messaging didn’t sound like me. I think this is the part of the brand that so many people forget about. They focus all their efforts into the visuals without putting any thought into the words they use in their brand. I can say this because I did this first hand. My About page on my website was a disaster—sloppily thrown–together copy about being from Nashville, how I love working with the music industry, a few buzz words thrown haphazardly around, a list of a few accolades and that was all she wrote. It felt stuffy, beyond impersonal, and gave potential clients zero clue of who I am and what I’m all about. Oh, and it was all in 3rd person. 3rd person writing might work for some businesses, but not mine. Talking about myself in the 3rd person felt weird, icky, and a whole lot like I was trying to be something I’m not, a big design agency with lots of designers. Because let’s face it—it’s just me over here in my little corner of the internet. And for a while that felt like a problem, like a check mark in the con column of a pros & cons of working–with–me list. But the truth of the matter is that for my target demographic that’s what they want. My clients hire me because they like that, just like them, I’m a solo–entrepreneur living that same wake–up–and–hustle all day lifestyle. I get them because I am them. They also hire me because I’m a little bit quirky. My contact page says I like talking about 70s funk music and Harry Potter, and that says that when you hire me you get a designer plus a friend. Two for the price of one, y’all. So, I revamped all my brand messaging to sound like me. My copy started to mimic the language my clients hear when we have our project calls. It started to feel warmer, inviting, a little more like you are talking to your bestie and not some corporate design agency. Mistake #4— I didn’t have a photo on my about page. Remember when I said my about page was a mess? Did you think I was lying? I wasn’t. 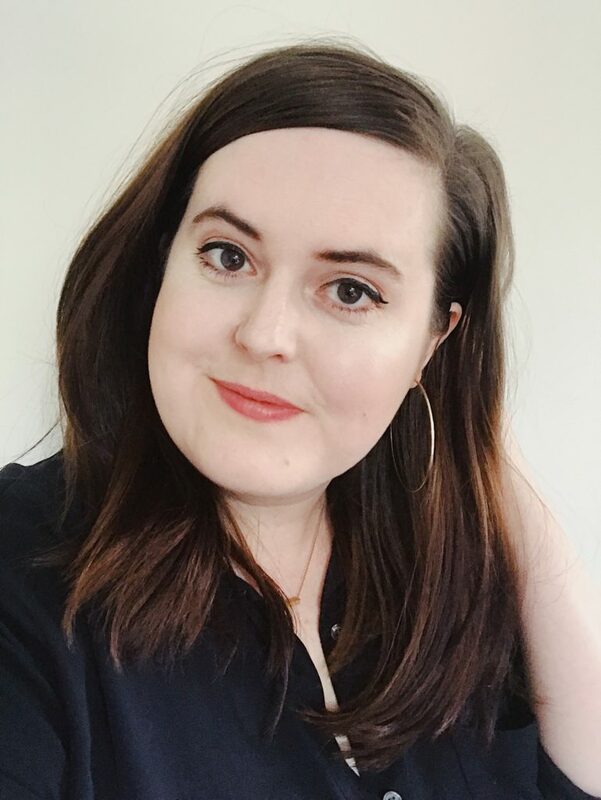 I seriously tell every single one of my clients that they need a photo of themselves on their about page…and I didn’t have one on mine. Gosh, that’s just one of those prime examples of “not practicing what you preach,” isn’t it? Plain and simple a photo connects people to you instantly. As human beings we are instantly more connected to a brand if we know that a real–life living breathing, in my case probably wearing black or denim, human being exists on the other side of this brand. I get it. Probably the reason you don’t have a photo of you on your about page is for the same reason I didn’t have one on mine. I hate photos of myself. I hate selfies. I hate getting my picture taken. Hate it, hate it, hate it. But it must be done. Because if anything it makes that first time coffee shop client meeting a little less awkward. No more pre–meeting texts, “I’ll be the brunette in the denim shirt with the lap top in the back,” because they’ll already know what you look like! What happened after I corrected these mistakes? I started to connect more with the types of clients I wanted to work with. I started hearing from other small–business entrepreneurs who eat, sleep, and breathe their work and were eager to talk to me about how to take their business to the next level. It felt like Harry Potter level magic, but really it wasn’t. No Expecto Patronum necessary. It was just the acknowledgment of what makes me special as a designer and making sure my brand conveys that message clearly. Now it’s your turn. Take a step back and take an objective look at your branding. Is it clearly conveying your message? What things could you update to better serve and connect with your target audience?